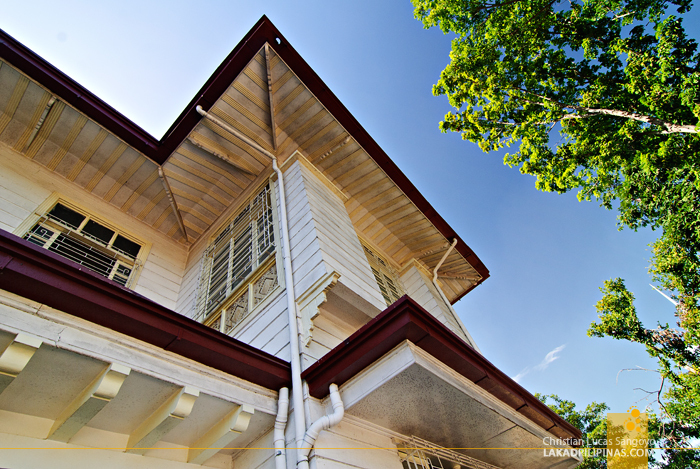 Sitting quietly at a parcel of land in Concepcion, Tarlac is a stately old mansion built during the pre-war days of the city. Painted in blinding white and striking reds, the structure stands proudly across a sprawling yard dotted with trees and carpeted in grass. 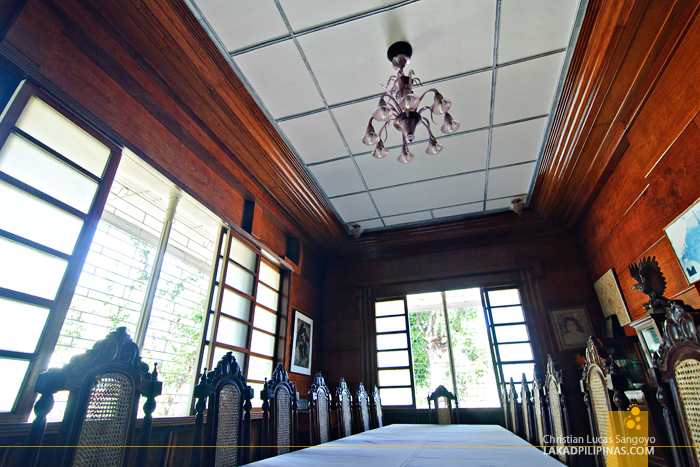 Welcome to the Balé Aquino, the Aquino Ancestral House. 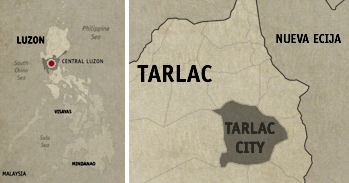 Tarlac is the Aquino family’s baluarte. This is the province where Ninoy grew to prominence as a politician. The guy was a whiz when it comes to politics; being a mayor at 22, a vice governor of the province at 27, and finally, its governor at 29. His record still stands as being the youngest senator of the country at age 34. But of course, however gifted one might be, one still cannot achieve such a feat without a family already into politics. And it is such with the Aquino clan—his grandfather, one of Emilio Aguinaldo’s general, and his father, the Speaker of the House of the Representatives. 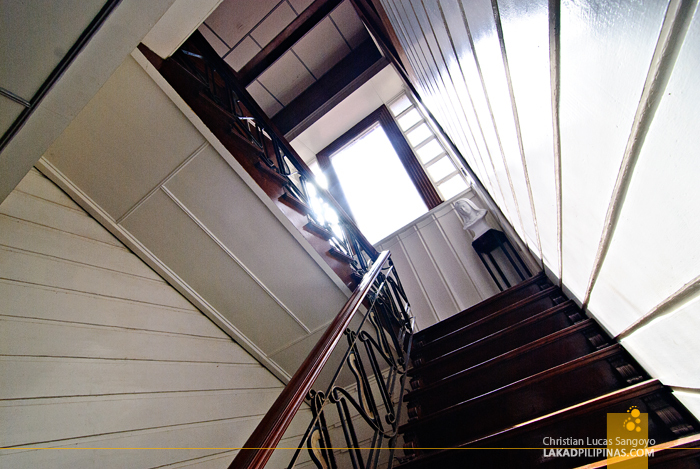 The Aquino Ancestral House is not as old as the numerous bahay na bato in Vigan City, being completed only in 1938. 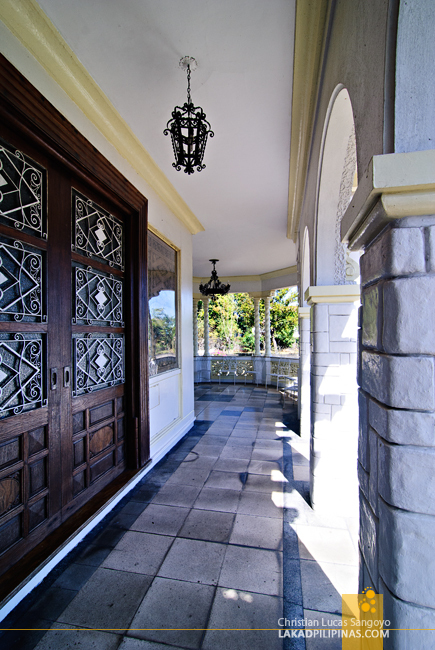 The architectural style is somewhat European in nature with its grand porch and neo-classical columns. It was designed by an architect from Laguna but was heavily supervised by Apung Ignu, Ninoy’s father, during its construction. 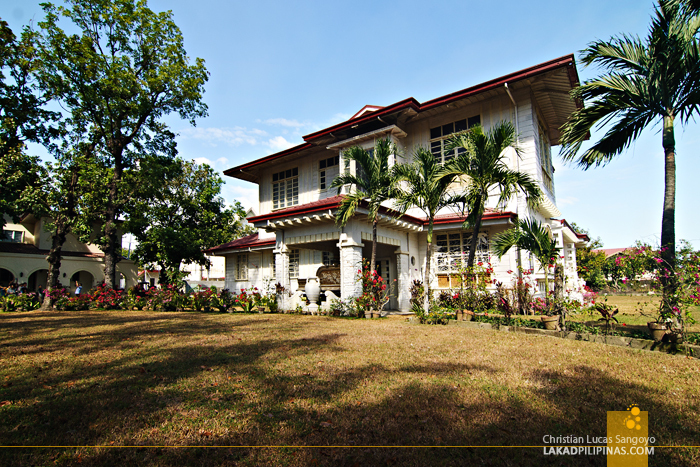 The house itself is quite large; the Aquino’s being one of the landlords of the Tarlac Province. 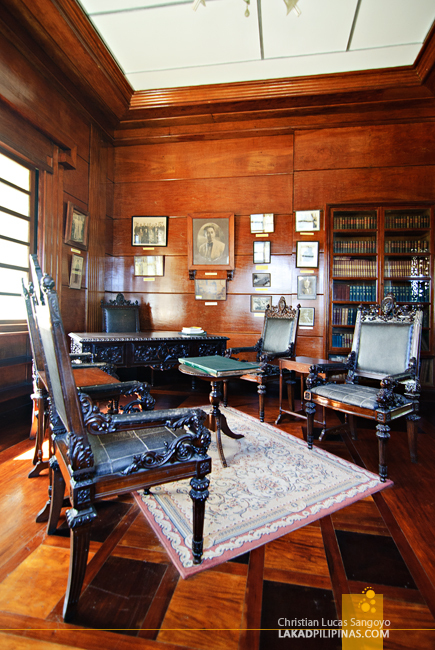 They own three haciendas then—the Hacienda Tinang, Hacienda Lawang, and Hacienda Murcia. One can just imagine the awe this house once inspired to the townsfolk of Concepcion. 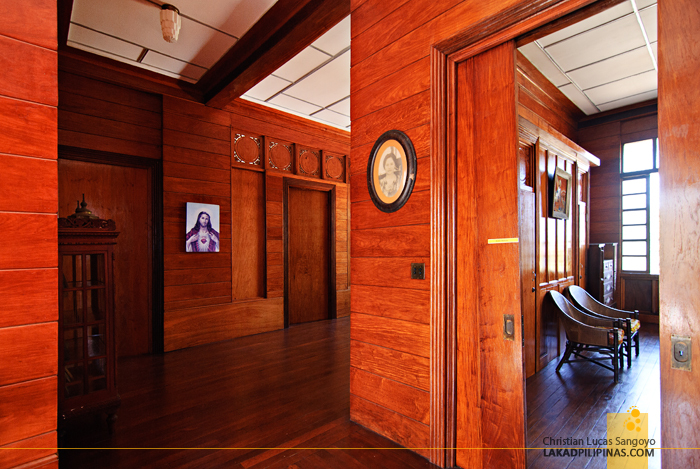 Inside, everything is made of wood—unpainted red narra hardwoods to be exact. The second floor, most especially, blazes with the warmth of the material. The furniture are crafted in duquit Betis, a woodcarving style from the neighboring province of Pampanga where the now-famous Betis Crafts originated. 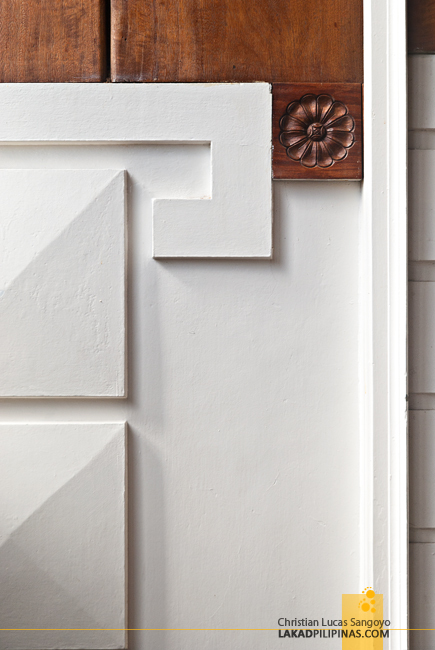 But unlike most ancestral houses I’ve visited, and I have visited a few, I find that the Aquino’s have a more restrained approach when it comes to ornamentation. Yes, there are the usual trimmings and ivy flourishes over arches but they don’t look overdone. Which is quite refreshing as the house doesn’t feel as cluttered. Without a doubt, even if Ninoy has been one of the last Aquino’s to occupy this house, the Balé Aquino is mostly associated with the late senator. With his impact to the lives of the Filipinos, I was having a hard time imagining him being other than the statesman I once saw on television—that dignified, eloquent politician everyone seemed to love. But entering the Aquino Ancestral House, my mind fancied on the fact that Ninoy was also a child once. That he once played here. Quarreled with his many siblings. And like any other kid, ran around his home’s grassy yard. Stepping inside Balé Aquino humanized the great Ninoy Aquino for me. Will add this to my travel list. hi po hannah here again... gusto ko po sanang bumisita dyan eh kaso ngalang po may bayad ata pero titignan mo lang po yung bahay minsan may tao naglilinis po yata ng bahay... ang ganda po ng bahay nila sa labas pero sa loob hangang picture lang muna po ako pero soon po.